There are flights available from Calgary to Nairobi, Kenya for $897 to $959 CAD roundtrip including taxes. 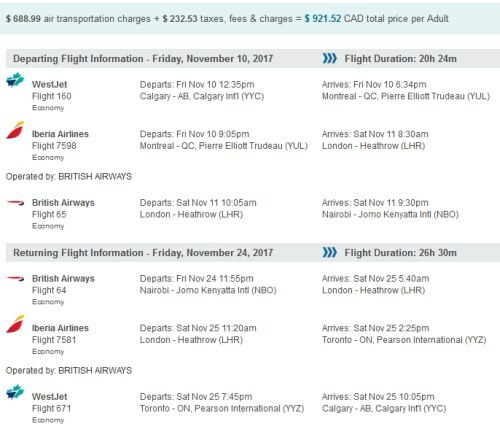 This is about 30% below the typical best prices from Calgary to Kenya. 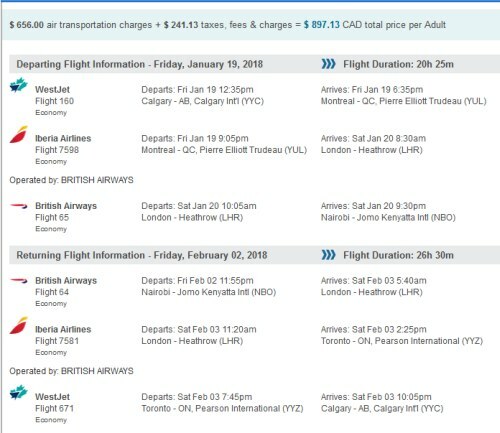 The domestic portion of the flight is with WestJet, and the overseas legs are operated by British Airways. calgary, yyc, flight deals, westjet, nairobi, kenya, africa, eastern africa, british airways and nbo.